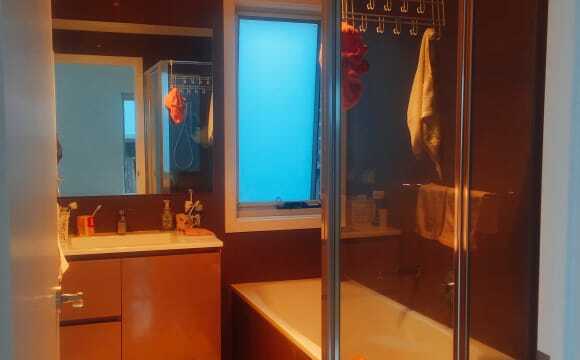 Clean and tidy townhouse in a quiet complex called Bellevue. 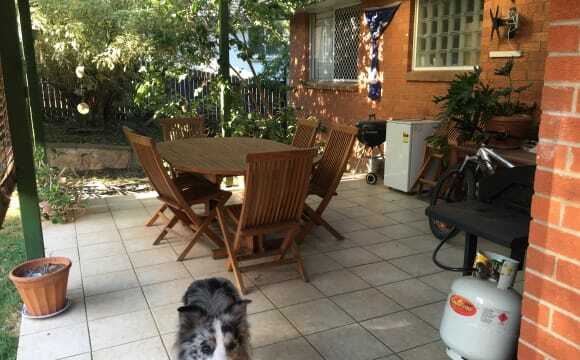 It is right across the road from walking and riding tracks and close to public transport. 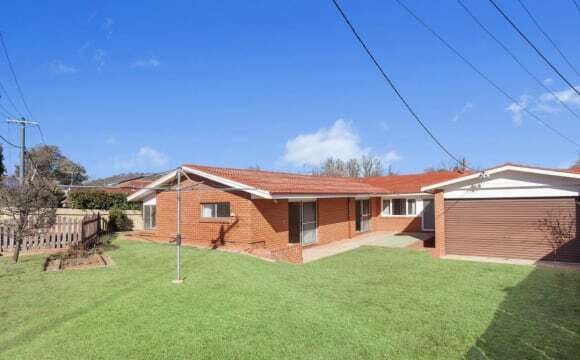 A short distance to the city, Woden, Tuggeranong and Belconnen. Modern appliances in the house. The courtyard is landscaped to accomodate an outdoor dining set and bbq. NBN is available should you wish to organise internet. One garage and one carport there is also on street parking right outside the courtyard. I've purchased a new home in Coombs and looking to fill just 1 of the rooms with the other being free for guests and study. The house is kept very clean and the energy rating is awesome so that means lower bills. If you are fit and active it backs onto some nice bike trails or just 100m walk to the gym. 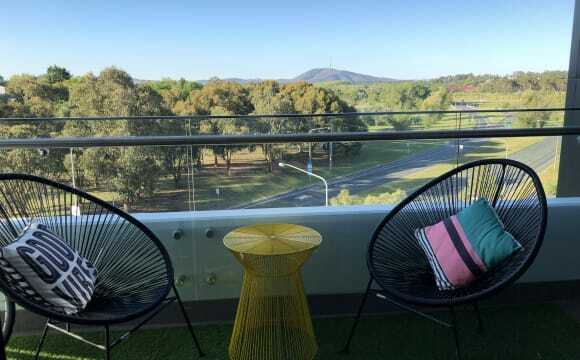 Very central area to Belconnen, Weston, Woden and the City. Also some beautiful morning views of the arboretum and black mountain tower. I am looking for someone around my age group and no pets, sorry. 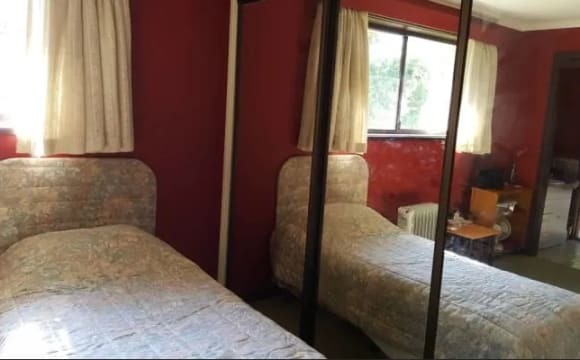 You'll also have your own main bathroom which is also attached to your room by a second door and a cool house mate of course haha Underground carpark avaliable at an extra $20 just let me know and I'll have to tell the neighbour its gone, though plenty of on street parking. The property is a 1year old, 4 bedroom townhouse in Coombs. Approx 12kms from city and Woden. Currently have 2 guys and a girl staying. NBN connected with fibre to premises (so fast internet) and unlimited. The property is 2 levels, the entire ground level is common and open plan. All the bedrooms are large (3x3m or larger). There is currently one unfurnished room with a private bathroom that is available. Bedrooms also have built in robes. House has a energy rating of 6 so do not expect the heating and cooling to be too much of a problem. The area is great, a short walk will get you to many running and biking tracks. Mount Stromlo observatory is down the road which is a perfect peaceful getaway. Parking is available on the street just across the road. There is a bus stop down the road and if you have a car you can get almost everywhere within 15minutes. Prefer someone who is looking to stay on a 12 month agreement but will consider 6 months stays depending on the circumstance. Looking for someone who is clean and considerate of others. The room will be available after the 31st April. Wright is new suburb where is quite and has a good environment. The transport is convenient, 5 min walk to bus station, about 15 min to City. Local running/riding tracks, local cafes and shopping centre. Club Lime across the road. 15 mins to the city and most central locations. 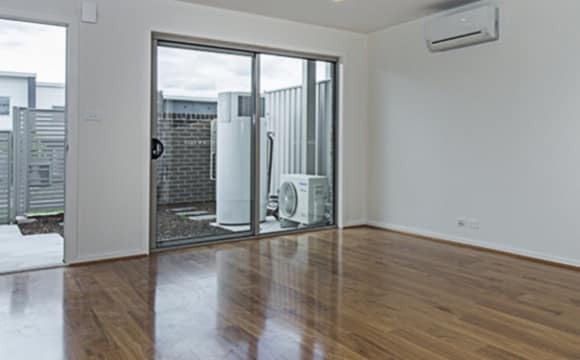 We have one room available in our two bedroom apartment located in the newly built suburb of Wright. 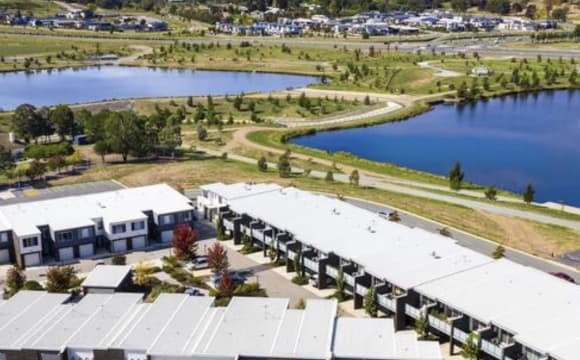 Wright is a 10-minute drive away from the City, Woden, and Belconnen and a 5-minute drive away from our local shopping center in Weston Creek. Bus routes to all suburbs in Canberra depart regularly from multiple bus stops nearby the apartment. The apartment itself is located on the second floor of a three-story complex. It has reverse cycle heating and cooling throughout, unlimited NBN, new appliances, a balcony and swimming pool on the ground floor. There is underground parking, as well as plenty of on-street and visitor parking. The available room easily fits a queen bed, has a spacious built in robe and desk space. The main bathroom will be yours, as the other female tenant occupies the main bedroom and uses the ensuite. The living room has a couch, large TV and dining table, however you will need to furnish your room. The kitchen has a microwave, dishwasher, fridge and all necessary utensils and cooking appliances. The neighborhood is safe and generally quiet and although we are located near a main road there is no traffic noise. Bills will be split between you and the other female tenant. Wifi and Foxtel will be at an additional cost on top of your rent. 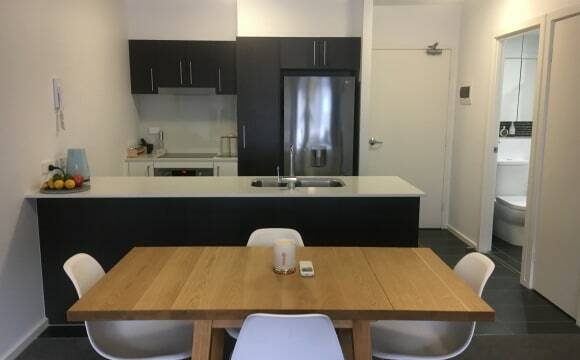 We value a clean space and will appreciate if you keep our apartment neat and tidy. Regular cleaning duties of the dining and kitchen will be shared evenly. Cleaning your bedroom will be your responsibility, however as the bathroom is a shared space due to the laundry, it must be cleaned reguarly. Seeking one neat and tidy female housemate to share a private house in Wright. House has a fully kitted kitchen and communal lounge dining area. $180 per week + share in utilities. PM me for more details or to view the property and discuss. This is a super quiet and peaceful little cottage in the well established part of Weston. 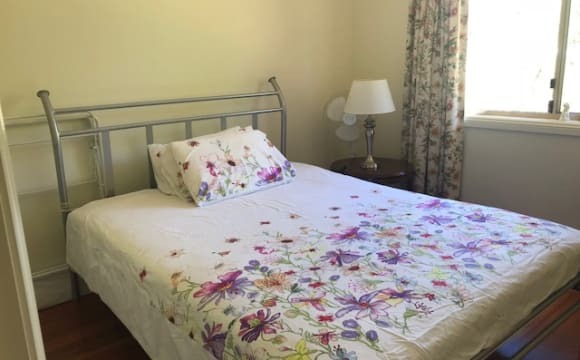 Recent renovations give the house a clean and fresh feel, stylishly furnished, there are all the comforts that make a house feel lived in and homely. Looking for an active housemate, 30+ non shift worker, non drinker/non smoker to share with two similar mature aged singles. Both professionals, one has own consultancy business and mostly works from home, the other works for APS. Generally we’re either out playing tennis, hiking, cycling, kayaking, going to the movies or catching up with friends in the evenings and on the weekends. TV not a focal point, and strictly a pet-free/smoke-free household. If you love gardening that would be considered an absolute bonus! Your bedroom has a super comfortable bed with 4 large storage drawers, a wardrobe, chest of drawers, bedside tables/LED lamp, and a desk. The bathroom is shared, we just consider the others routine preferences and there aren’t any issues. Considerate, respectful housemates - life doesn't need to be complicated unless you make it so ;-) The house is insulated brick with solar power, generating around 75% of household usage, and rainwater tanks plumbed into whole of house cut down on water usage. Great airflow throughout, air conditioning only used during heatwaves if at all. The lovely back veranda area, complete with a hammock, is so peaceful for a snooze or quiet read. The deck is perfect for alfresco dining also. Lots of bird life in the back garden which add to the peaceful ambiance. 5 mins walk to bus stop, 10 mins walk to Coolaman Court shops, restaurants and other facilities. Westfield Woden just 3 km away, so walking distance or an easy bus ride. Canberra Hospital 4 km, ANU 8 km, CBD 8 km. Easy access to main arterial road network and bike ways. There is lockable storage for your bicycle or kayak. Outdoor pets will be considered. 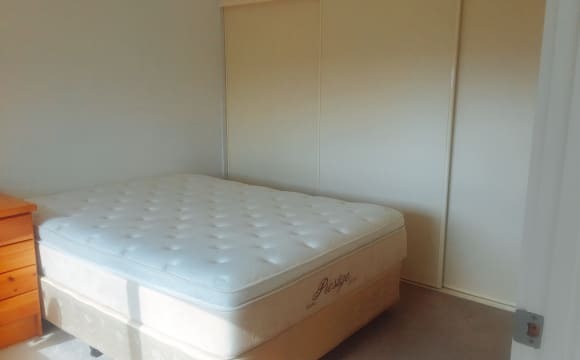 Room for rent in Rivett in 3 bedroom house, you will be sharing with a 30 year old female and two dogs (sorry no more pets are allowed on the property). The house has ducted heating, air-conditioning in living room, internet, netflix and a huge backyard. The room is unfurnished (please ignore the bed in the pics) but the rest of the house is fully furnished. I am are looking for a female, who is clean, considerate and quiet - would ideally suit female student or working professional. No males or couples need apply. Thank you. Clean, convenient and close to amenities. Since the property is currently on sale, rent will continue until property is sold, which is likely to be quite a while given the lack of interest. Sufficient notification will be provided. I'm going away for two months from May to June. I am looking to get someone to rent my room while I'm away. The complex has a pool and gym, the room will be furnished and I can make space in the wardrobe for you own clothes and personal items. There is one bathroom you share will share with my housemate Dean and a car space if you need it. About the location: The bus is a 2min walk up the street and takes you directly to the city and Belconnen or down to Tuggeranong. Busses run every 5-10min on the 300 express service. The Westfields is a 10min walk which has lots of restaurants and a Hoyts movie theatre. The Hellenic Club, Number 10 Bar, Asian Noodle House and Beluccis Italian are all 5min walking distance from the apartment. There are also lots of bike tracks and walking trails in the area. Rent include bills! This is a huge master bedroom (with ensuite and walk in robe). Looking for clean, tidy, honest, considerate and easy-going person to share the fully furnished 3 bedroom house. You will be living with 2 guys (an IT professional and a health professional) in the household and they are clean, non-smoking, non-partying type and friendly tenants. 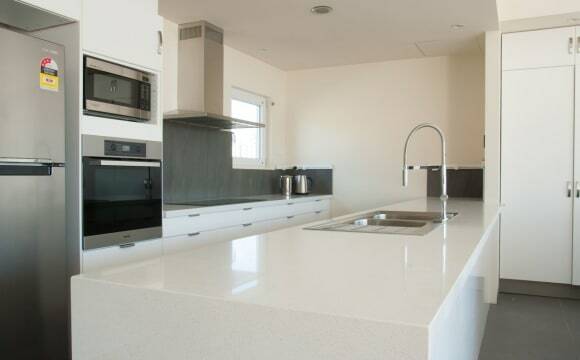 There is plenty of storage with built in shelving and cupboards, and it features a Miele kitchen with ultra modern styling, super insulation and solar passive design. The well lit house is certified to the Passivhaus standard and so will be comfortably warm in winter and cool in summer. 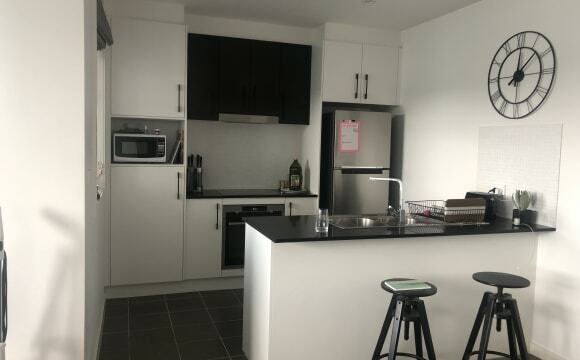 * Fully furnished house and kitchen equipped with basic utensils * Appliances include: fridge, washing machine, microwave, vacuum cleaner * All utility bills paid for by landlord * Gardening and fortnightly cleaning mainly of common areas included * 5 to 10 minutes walk to Woden Town Centre. 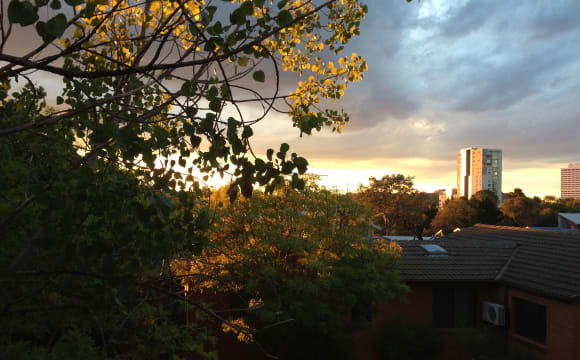 You would easily save on parking by leaving the car at home and walking to work in Woden! * Parking in driveway or off-street * Room will only have 1 king single bed (not 2 as in the photo). * Higher rent applies for shorter term lease and for 2 person. 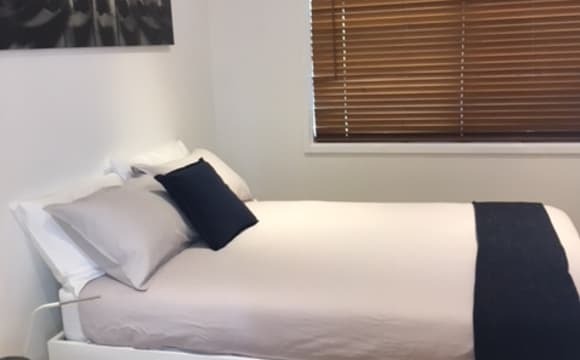 The PLACE: The townhouse is a 2 minute drive to Woden town centre and interchange (about a 10 minute walk) or Canberra Hospital, CIT Woden, service station 3 minutes drive, shopping centre due for completion by Christmas or daily shopping, which will include Coles, Woolworths, specialty stores, takeaways etc. - 3 minutes drive. Quite and nice neighbourhood. The place is fully furnished. The ROOMS: 1st room: The room has a queen-size bed and bed-side table. Built in mirror covered robes with hanging and shelve space. Available on 30th April 2019. Rent is AUD 220. 2nd room: UNFURNISHED. Built in mirror covered robes with hanging and shelve space. Available NOW. Rent is AUD 210. Both of you will share the bathroom. I have my own bathroom. The available parking is on the street out the front or in the guest parking. 3 bedrooms upstairs with dining, living areas, laundry room and kitchen downstairs. Spacious, bright room with lots of storage room. Stays cool during summer and has a heating for the winter. There is an awesome trampoline in the garden, BBQ, the house is close to the lake and to the city and its quite spacious with a big chill out area and kitchen/dinning area. 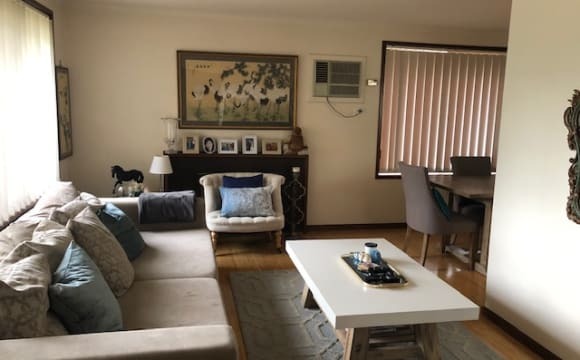 Two rooms for rent in Yarralumla. 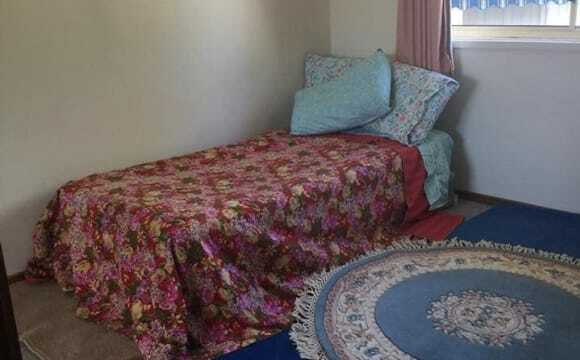 -------------------------- 290pw The furnished spacious room come with a single bed, wardrobe and a desk. You will share a bathroom with a young female intern. ---------------------------- 300pw En-suite, furnished room. 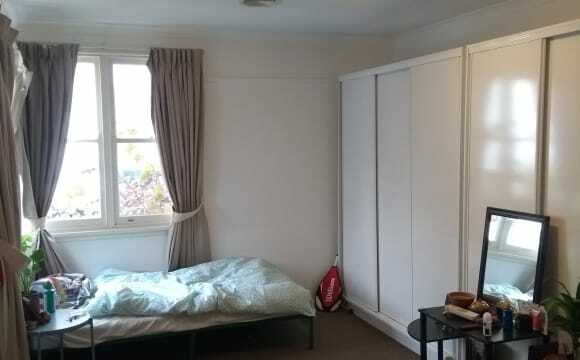 A single bed, wardrobe with big mirror, and a desk. ---------------------------- The house is fully furnished with washing machine, gas cook top, fridge, oven, microwave, and other appliances. Off-street parking. The rent includes all utilities (electricity, water, gas, and internet). Location 5 minutes walk to bus stop. Walking range to many Embassy convenient for one who work there.